the code-cracking game is still live. Jaguar Land Rover has interviewed over 50 code-crackers to date and offered positions to 13 people in total. 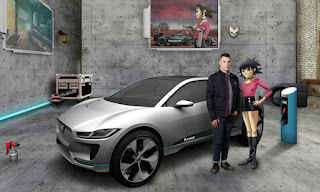 Jaguar Land Rover has hired the first of the next generation of electronics and software engineering geniuses following the recent code-breaking recruitment challenge within the Gorillaz app. Daniel Dunkley, a 23-year-old from Gloucester, UK, is the first successful code-breaker to join Jaguar Land Rover. Dunkley left school at 16 and was working as a controls engineer at a local quarry. His coding and software skills are completely self-taught from an early interest in playing computer games at home with his older brother. He starts work on Oct. 2 as a software engineer at Jaguar Land Rover in Gaydon, Warwickshire. 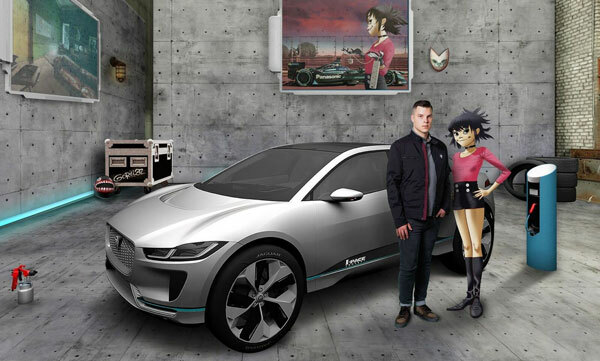 Gorillaz and Jaguar Land Rover will continue the search for world-class talent at Jaguar Land Rover's inaugural Tech Fest event, from Sept. 8-10 at London's Central Saint Martins art, design and technology college. Fans interested in a job at Jaguar Land Rover can visit a pop-up Gorillaz garage to try a puzzle testing technical ability, logical thinking and memory. Want to see if you've got what it takes? Solve the puzzle and you'll skip the initial screening of the Jaguar Land Rover recruitment process. If you can't make it to Tech Fest, complete the coding challenge on the Gorillaz app and go straight to interview. The code-breaking puzzle tests real-world skills the new generation of software and engineering talent must have. The challenge remains open worldwide. Noodle, the virtual band's guitarist and a Jaguar Land Rover ambassador, said, "Think big and do better, my motto. Stop putting those filters on your food and download this app immediately. The first hire has happened, so get involved and win." "I'm overwhelmed by how much has happened in the last two months. I read about the coding challenge set by Jaguar Land Rover and Gorillaz on BBC News and decided to have a go. We did the interview by Google Chat then I was invited to Gaydon to talk about my new job. It completely blew me away that I didn't have to fill out any application forms," Daniel Dunkley said. "I was thrilled when they offered me a job. My dad drives a Land Rover Defender so I have always been a fan. I can't believe I may now get to work on the next generation Defender." So far, almost 400,000 people have downloaded the Gorillaz app. Of the 41,000 who have taken the challenge, over 500 have cracked the code. "Daniel is exactly the kind of person we need. Technology companies like Jaguar Land Rover provide an exciting opportunity for the brightest and best. We want to attract top-notch talent in software, cyber systems, app development and graphics," Alex Heslop, Head of Electrical Engineering, Jaguar Land Rover, said. "We've interviewed over 50 people to date of the 500 that cracked the code and we have recruited 13 people so far. We are continuing to interview those who crack the code that are interested in a job at Jaguar Land Rover. The global search for talent continues. "We don't do ordinary and that means hiring extraordinary people. Jaguar Land Rover makes some of the world's most exciting cars and it needs brilliant people to create them." In the spirit of collaborative innovation, Jaguar Land Rover has invited an array of speakers to take part in a series of debates and talks throughout Tech Fest, attended by an audience of global influencers and journalists from four continents. Topics will include the future of diesel, electrification, women in industry and robotics, debated by a range of global industry and consumer experts from around the world. The search for young talent goes on. Interested applicants can download the Gorillaz app now at the iTunes App Store or Google Play. To find out more about Jaguar Land Rover recruitment, click here: jaguarlandrovercareers.com. Traditional application methods remain open and CVs will be accepted, but Jaguar Land Rover invites potential applicants to download the app, break the codes and solve the problems to fast-track their way into employment.